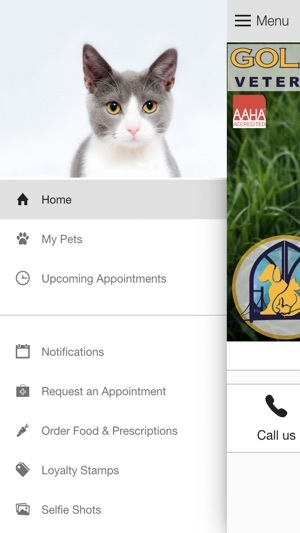 This app is designed to provide extended care for the patients and clients of Goldens Bridge Veterinary Care Center in Goldens Bridge, New York. 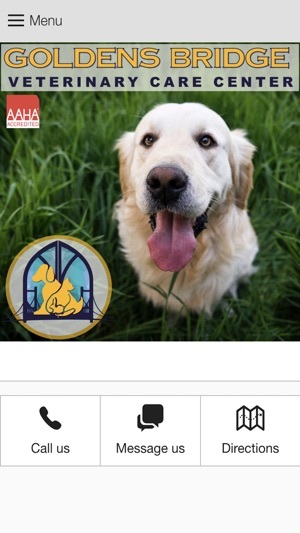 Goldens Bridge Veterinary Care Center's mission is to provide an unsurpassed quality in Veterinary Medical Care in a friendly relaxed setting. We recognize that kindness and caring are paramount to delivering high quality care to your pet. Our staff is devoted to providing the highest level of compassion and personalized care for your pet cats, dogs, and exotics. We even treat poultry, chickens, ducks, and geese.